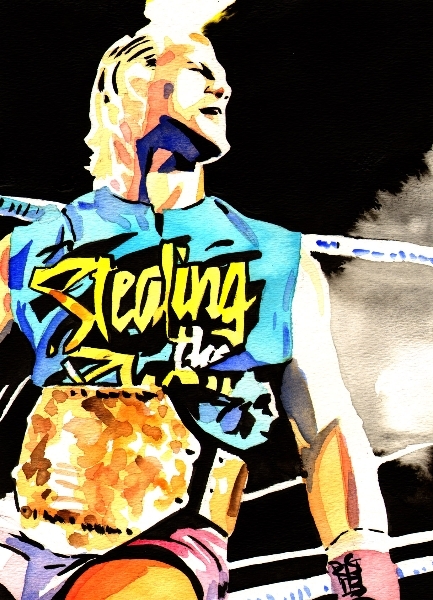 This past weekend saw one of the biggest matches of the year as it was “Title vs. Title in Green Ridge, Missouri at Harley Race’s World League Wrestling. 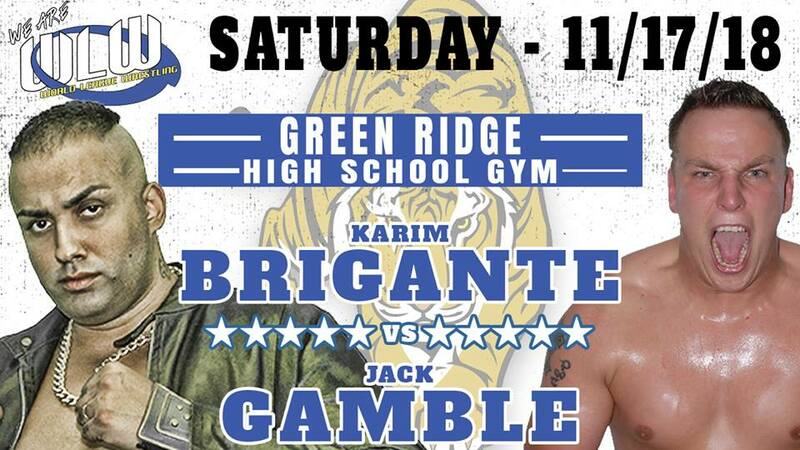 Italian Wrestling Association (IWA) Champion Jack Gamble took on the MWR Missouri Champion Karim Brigante on a frigid November evening in a match that lived up to expectations. On one side, you had the MWR Missouri Champion Brigante. He has wrestled around the world with a desire to be the best in the sport. That respect for the sport brought him to the United States to train with the eight-time World Champion Harley Race. During his time with Race he has made multiple trips to the United States to work with WLW and promotions around the country. In 2017, he reached the mountaintop at WLW by defeating Leland Race and “Superstar” Steve Fender for the title. He has also participated in four of the annual camps that have involved WWE, NOAH, ROH and others. Brigante’s pop-up elbow-smash to the face of his opponent is beautiful. 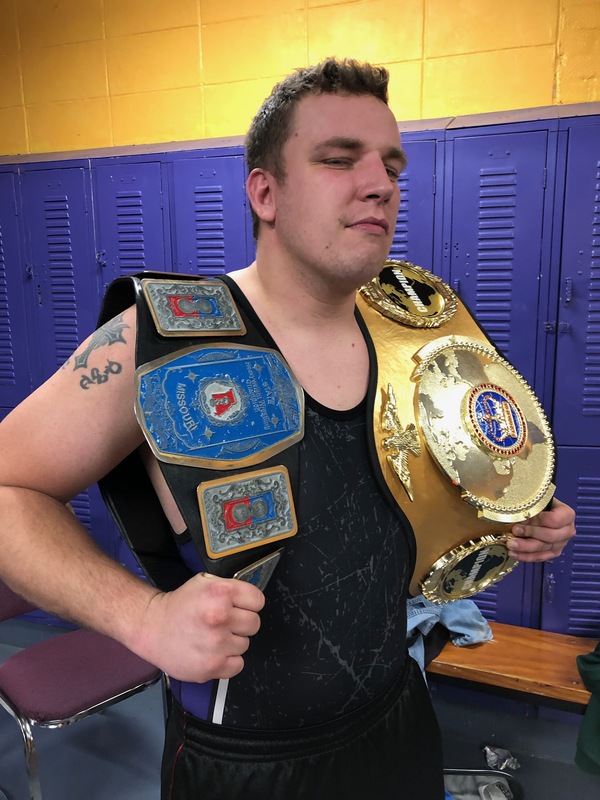 In March, at WLW Night of Champions 3, Brigante captured the MWR Title by defeating the former PWI Rookie of the Year and two-time MWR MO Champion Ace Hawkins. The other side of the ring was Jack Gamble. Midwest fans know him better as one half of the tag team High Level Enterprise with partner Jon Webb. They are former three-time WLW Tag Team and two-time Dynamo Pro Tag Team Champions that were honored with the MWR Tag Team of the Year in 2015. The hometown fan favorite also wisely graduated under the watchful eye of Race while participating in the WLW/NOAH/ROH camps during his early career. His talent earned him an invite to train at the Pro Wrestling NOAH Dojo in Japan two different years. Gamble showed his heart and dedication when he was able to return from a horrific car accident that threaten his career in 2013. Though it is true that he has found huge success in tag team action in 2018 Gamble has set his sights on singles gold. 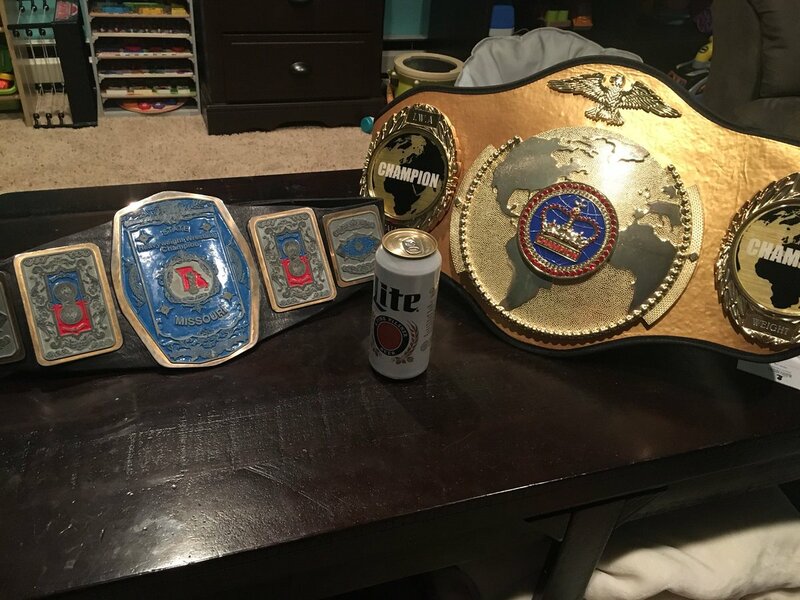 In the past calendar year prior to this weekend he had challenged for the MWR MO belt on two different occasions, the first against Hawkins at WLW and the last time at Dynamo Pro against Brigante, just coming up short each time. 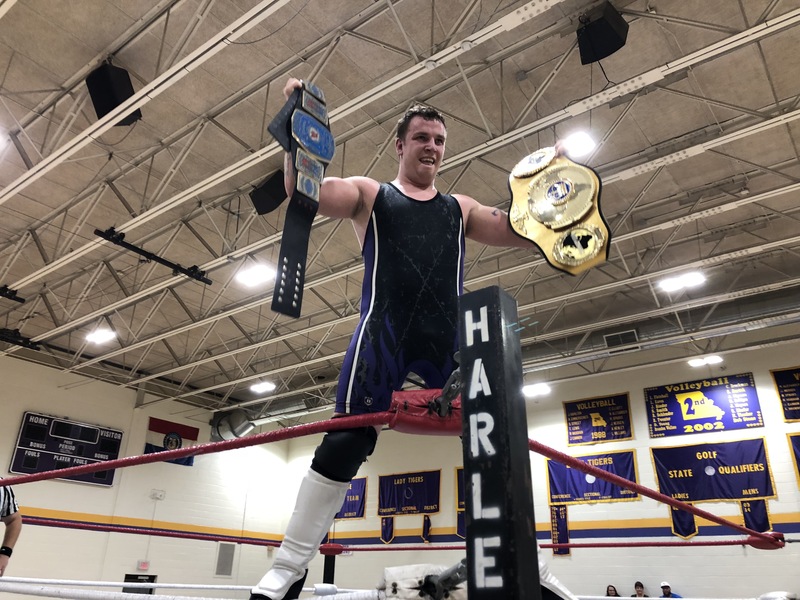 In September, Gamble defeated former 2-time MWR MO Champion Brandon Espinosa in a match that proved that he was much more than a tag team specialist then picked up a DQ win against the WLW and IWA Champion Webb in October. His biggest single win to date came on November 3rd when he captured the IWA belt from Webb in a three-way that also included Brigante who was also wanting to recapture the IWA title a belt he held earlier this year before losing it to Webb. Gamble’s superkick into a spin-out powerbomb is a deadly combination that is delivered with quick speed and precision. Brigante with a victory already against Gamble in singles competition and 8 title defenses of the MWR title entered the bout with what many would believe may have had the edge. Gamble’s confidence though seemed to have been at an all-time high as the two had a classic battle with the fans clearly on Gambles side throughout the match. In the final moments of the match it looked as if Brigante was going to lock a submission leg lock but Gamble quickly pushed Brigante away and like lighting hit his patented superkick into the spin-out powerbomb to retain his IWA Championship and become the sixth man to hold the MWR Missouri Championship. I am now the @IWAItaly1 heavyweight champion and the MWR Missouri Heavyweight champion!!! We are thrilled to have one of the top wrestlers in the world Eddie Edwards as the twentieth card in the MWR Trading Card Series. Edwards has wrestled around the world and can be seen in R0H on HDnet every Monday Nights. Having been trained by not only the legendary Killer Kowalski, but the Pro Wrestling NOAH Dojo, Eddie has become a talent that is desired on wrestling shows all over the world since his 2002 debut. While he is most noted for his work in Ring Of Honor, Eddie is known to work for many companies in the New England area, as well as NOAH in Japan. While he debuted in Ring Of Honor in 2006, Eddie probably gained most notoraity after forming the team of The American Wolves with Davey Richards in 2008. It wasn’t long after their formation that the two captured the Ring Of Honor Tag Team Titles from rivals Kevin Steen and El Generico in April of 2009. The feud continued well into 2009, only to be put to a halt after an “Anything Goes” match with Kevin Steen in Boston, Massachusetts at “The Final Countdown Tour: Boston” on September 25th that resulted in a serious injury for Eddie. The next night, with his elbow broken, Eddie went on to team with Davey to take on Steen and Generico in a ‘Ladder Wars’ match, retaining their championship. It wouldn’t be until December 19th of that year that Eddie not only made his return to wrestling, but that the Wolves lost their tag belts, being defeated by the Briscoe Brothers. With feuds against men like Steen & Generico and The Briscoes, the Wolves championship run also led to numerous memorable tag title defenses including a 45 minute draw again Tyler Black and Bryan Danielson now known as “Tag title classic”. While he is widely known as a tag team wrestler, when he captured the first ever Ring Of Honor TV Title, in a tournament that lead him to face his own partner, Eddie was able to show doubters that while he worked good with a partner, he may be even better on his own.